Former French customers of the failed Ongame Network and iPoker France site Europoker are continuing their struggle to become reunited with their bankrolls, as a French bankruptcy has heard testimony from aggrieved victims of the site’s collapse in recent days. As with most bankruptcy stories, actual movement in the case has been slow to occur. 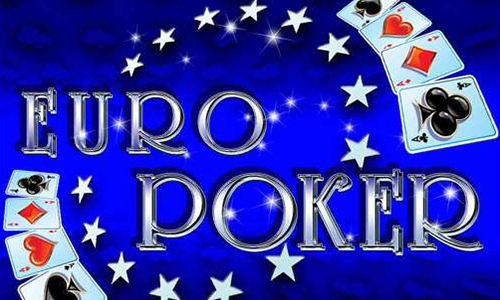 Once a prominent site, Europoker was among many former Ongame Network offerings that withered on the vine, in large part due to Ongame’s archaic software and frequent sales to and from several different corporate parties. Most Ongame sites had long since folded or moved on to other networks by the time Europoker tried to salvage the last of its France-facing online poker operations in a 2014 move to iPoker France. But it was too little, too late for the site, which closed its doors in late September of 2014. Europoker.fr owner EPMEDIA FRANCE filed for bankruptcy the following month, and that turned out to be just the start of an unfortunately typical bankruptcy controversy. At issue was whether a significant amount of loyalty awards and bonuses owed to Europoker France’s players had been planned for under the requirements of French online-poker law that players’ collective balances be maintained in a segregated account — a supposed safeguard against such a bankruptcy circumstance. And in a case that quickly turned into a headache for France’s online gambling regulatory agency, ARJEL, it appeared that Europoker’s owners had long scrimped on that requirement, reserving only the actual balances and not the total value of all rewards earned. This was a sizable difference. The total of balances owed to Europoker France players has never been publicized but is believed to be a little south of €500,000, while the amount of owed loyalty rewards, if converted to cash, is nearly half of that — something over €200,000. Given that all of Europoker France’s limited assets have to be liquidated, with the funds distributed among all creditors, this difference has helped bog down the bankruptcy process. Back in 2014, ARJEL president Charles Coppolani agreed to meet with many of the jilted players about their balances and their claims that the long-accrued bonuses should also be credited during the bankruptcy proceedings. Coppolani then postponed those same meetings indefinitely, and it appears that the recent meetings and testimony provided by many of those same players to a French bankruptcy court (as recently reported by PokerIndustryPro) is what has transpired in its stead. Poker-world conjecture has generally focused on the perceived lack of assets that EPMEDIA had on hand to pay the claims of all creditors, including the players. The issue of whether that €200,000 or so of non-honored loyalty rewards should be included in that calculation might have a significant skewing on how whatever assets remain are divvied up. Such a matter would likely end up before the bankruptcy judge anyway, and not before ARJEL. It’s part of the reason, perhaps, why the French regulator has dithered on the Europoker bankruptcy, because it’s never been quite clear that despite ARJEL’s claims, that affected players will indeed receive full restitution in the event of the failure of a France-licensed site. ARJEL, for its part, has previously stated its own belief that the accrued loyalty bonuses should be calculated into existing player balances, but its seeming failure to be able to back up its own proclamations with the force of law has left the agency with more than a bit of egg on its face. Given the current shambles of the firewalled French online-poker market, the Europoker.fr failure is just another bad-tasting grape in the mouths of France’s poker aficionados. France has done a good job of killing interest in poker through several different boneheaded regulatory moves, all while disavowing — with the true tunnel vision only career bureaucrats can muster — the fact that those very moves have caused France’s current poker malaise. Meanwhile, Europoker’s former players haven’t been paid a franc to date.